Today marked the first official day of Spring Training 2015 for the San Diego Padres. Seeing pictures of James Shields and Matt Kemp in Padres garb, let alone in the same picture, was a pretty surreal moment as a fan, and I’m sure it’s only the first such moment in what may be a magical season for the Padres. With that excitement comes more fans. Many of them are old fans whose interest in the team has been rekindled following the major roster overhaul, while many others are, quite simply, people jumping on the Padres bandwagon. Already, some Padres fans on social media and internet forums have been quick to put down bandwagon Padres fans, rather than offering them a hearty welcome. Let me be abundantly clear: I wholeheartedly welcome anyone and everyone to root for the Padres for any reason. Welcome aboard the wagon! I’ve made this point on many occasions: in order for the Padres to compete with the haves in baseball, they have to pander to the disenfranchised San Diegans who won’t come to the game unless the Padres do things X, Y, and Z. That’s because the only way the Padres can achieve revenue streams to consistently sustain them just outside the top ten of Major League payrolls is to have a large “bandwagon”. 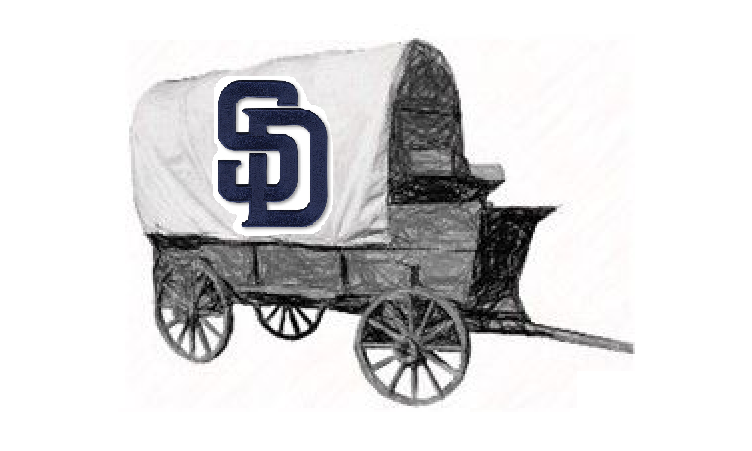 But even ignoring the aspect that the Padres are better off with these new or returning fans, being a bandwagoner doesn’t actually make those fans any less of a fan. To believe that would mean that you believe community-esteemed beer connoisseurs (who double as Padres fans), like Ken Gartin, Corey Brock, or Wonko, are not true beer connoisseurs because they don’t drink La Crosse Light or Michelob Ultra on a regular basis. Or that Roger Ebert wasn’t a true movie critic because he never thumbed Dude, Where’s My Car? or the eighth movie in the Land Before Time dinosaur series. Some beers aren’t meant to be drank and some movies don’t need to be reviewed. Similarly, some baseball teams aren’t meant to be actively followed. The Padres of the past few seasons are a classic example of one of those “not meant to be watched” teams (and I don’t mean that because many of the Time Warner-ites really could not watch). Sure, if you deliberated long enough you could invent some reason to watch – Jedd Gyorko, Cashner’s occasional brilliance, Tommy Medica’s chest hair – but the number of reasons not to watch significantly outweighed the few reasons to watch. Ironically, the term “fair weather fan” is a pretty literal translation in San Diego. Why the hell would you spend any time on those Padres teams when you live in beautiful San Diego, unless the weather literally was fair. Given the rarity of fair weather, it should come as no surprise, and therefore no shame, that some fans didn’t devote a single second to those purposefully faceless rosters. Ultimately, people are driven to watch or follow a baseball team for different reasons. Some of them are easy to point out: winning baseball, exciting baseball, boredom, civic pride. Many more are complex reasons, not easily categorized. Just because some fans have a more refined baseball palate or other ancillary reasons retarding their consumption of Padres baseball during the lean years doesn’t mean their fandom is any less sincere than yours. In the paraphrased words of Ron Fowler, “everyone’s money is green”. The two grand I’ll spend on the Padres this season is just as green as anyone else’s two grand; it’s as green as any visiting group of fan’s two grand, as green as the right field Mission’s two grand, and as green as some-chick-who-now-follows-the-Padres-because-she-thinks-Matt-Kemp-is-hot’s two grand. I don’t want to end up like the Giants fan base! Oh? You don’t want to celebrate multiple titles and then rub it into the face of Dodger fans? 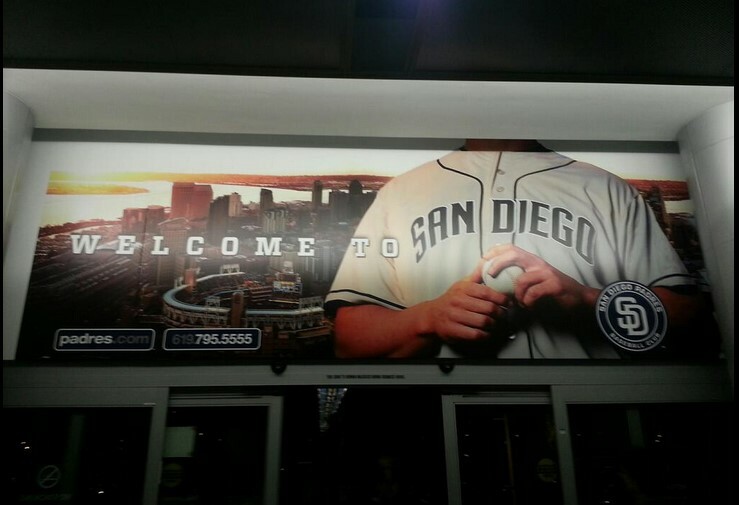 What planet are you rooting for the Padres from? Better yet: can we just send you to Mars, and keep the bandwagoners? In baseball, there is one champion and twenty-nine losers. That means that the fans of twenty-nine other teams are going to dislike you, regardless of how you celebrate, because your team’s champion status and their teams’ loser statuses are mutually exclusive. And, let’s be honest, if you’re a die-hard San Diegan, you have never celebrated a champion. How do you know how annoying you’ll be once it happens? If the Padres win a title, there are equal odds of me dying from alcohol poisoning, getting arrested for burning the Padres logo into the front lawn of my Dodger friend’s Bakersfield home, or blowing A.J. Preller. WHO KNOWS HOW YOU’LL CELEBRATE! Even if the Padres were a feel good World Series winning story, that never lasts. People loved when the Braves won the series and then celebrated louder when the Yankees won the next one and then WAY LOUDER for the team who ended that dynasty. The Red Sox went from darlings to despised seemingly overnight. In football, the St. Louis Rams were a feel good story until they weren’t, when they were offed by the feel good story of the New England Patriots. Who were then offed by the feel good story of the New York Giants. It’d be great if the Cleveland Cavaliers won a title, but then what? No one outside Cleveland would want to see a repeat. The point here is pretty clear: every champion’s fan base is annoying. The San Diego fan base can’t not be like the San Francisco Giants fan base if they experienced a championship. Perfect, George. Can’t wait to see you out there on opening day with your Chase Headley or Everth Cabrera jersey on. You’re such a great fan! It won’t mean as much to those fans. A Padres title should mean as much as possible to its fans. Why do you care how much more a World Series title would mean to you than it would some random bandwagoner? If you’re living your life in such a way that you need to know, with certainty, that only truly deserving and appreciative fans are rooting for a sports team, that’s your own problem. How do you know how much joy everyone else gets out of it compared to you, anyway? Besides how impossible it is to measure the purely physical aspect of experiencing joy – neurons and dopamine and so on – I don’t see how anyone can infer another’s emotional attachment to a baseball team with reasonable accuracy. Enjoy your rooting. Let everyone else enjoy theirs. This is a pretty long-winded way to say “welcome” to those hopping on the bandwagon, but it should be made loud and clear that everyone is welcome to root for the Padres for any reason. It’s for the good of the Padres. If we choose to embrace all the bandwagoners, all the Matt Kemp groupies, and all the frontrunners that may join the Padres fan ranks in the near future, then maybe – just maybe – I’ll scroll down my Facebook news feed three years from now and see born-and-raised San Franciscans celebrating a Padres World Series title. I’m sure sick of the reverse.